Accessing computers, mobile devices and search engines through your voice is a technology that hasn’t come about as of recently, however it’s a feature that has seen such a surge in popularity in the few years that business owners, bloggers and webmasters are scrambling to make sure they’re ready for the rise of voice search by everyday users as they become more mobile and less patient in their search habits. We now have access to the likes of Google Assistant, Siri, Cortana and Alexa, intelligent personal assistants contained within domestic and mobile devices we own. These smart assistants are able to provide services and answer most of our questions with by accessing search engine information and recalling it to the user in an almost conversational tone, whilst also taking the conversations had with users to improve their own knowledge in listening to and understanding what users say and imply. A year ago Google announced that 20% of searches were being performed through voice search, this is sure to have increased drastically since last year and isn’t predicted to stop. Self-learning software like this has been in the public eye for several years now and has has enough time to become a truly powerful tool, allowing users to make searches from devices, on the go or at home, without ever having to actually interact with their devices physically, increasing ease of use and accessibility for everyone. We are going to focus ensuring your online presence is ready for the fast-flowing stream of voice searches now being performed by the everyday user, specifically through assistants that answer user queries like Google Assistant. How Does Google Choose The Best Result? Whilst we cannot provide a definitive answer to being the best result or how Google decides what the most relevant result is, we can take some factors into account which have proven to be a major influence in Google’s decision. The majority of voice searches are performed on mobile devices, as their ease of use along with fast and accurate responses allow people to get the answers they need on the go, such as looking at reviews for a product you’re interested in whilst in a store, this means it’s imperative that you optimise your site for mobile devices. Keeping your site up to date with mobile devices has already been a major consideration if you want to rank at all now, as Google will soon rank websites based on how they display on mobiles ahead of how they display on larger computer devices. Google has graciously provided a guide on providing content to your user base that should increase your visibility in the search engine queries that happen in these “Micro-Moments”. These moments we all experience are not during casual internet browsing without a clue where you want to go or what to do, these moments are what is described as being ‘high-intent’ meaning the user knows exactly what kind of answer they are looking for and want that answer quickly and clearly. 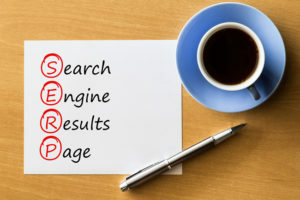 Like all kinds of queries made through search engines, results will be partially influenced by the speed the site provides the relevant content to the user, this holds true for voice searches, especially on mobile devices where instant results are crucial, the user may also be on a data tariff and end up downloading lots of unnecessary rich data can be frustrating for users. Consider how people will be performing voice searches, most queries will be said just as they would in everyday conversation. For example, if a user searches by voice for the age of our Sun it’s not likely the user will say ”Sun age” or ”Age of Sun”. We can expect a complete, structured sentence such as ”How old is our sun?”. Long tail keywords such as interrogative sentences that target what people will actually say can expect greater success. Don’t draw users to your website only to offer them something completely unrelated to what they are looking for, make sure that answer to the question you are targeting appears both high up and clearly within your content. Don’t stuff the answer down the page, forcing the user to move past advertisements or other content that they haven’t asked for. For most voice searches through Google Assistant, being in the #1 spot has never been more important. By presenting our information that answers users questions in a certain way, Google can provide an answer to the user without having to leave the search engine at all. If ask google how old our Sun is I am given the answer without having to find the answer by visiting the top result. Structured data (Such as these rich snippets) will allow search engines to interpret your data in the format you have presented it to your human audience, this is how google is able to provide answers, reviews, product ratings, prices and more through its search engine results pages. If you would like to look more into how structured data can be used to improve the quality and readability of information on your site, visit schema.org. 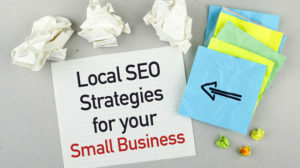 If you are a business owner, you more than likely keep your business listed on Google, as it is now crucial to do so if you want any sort of visibility when people search for your category of service in your local area. Make sure you have provided as much information as possible on your Google Business listing, and that it’s all up to date. 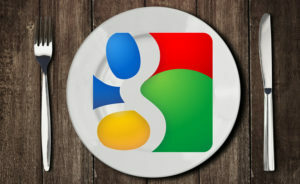 Google listings act in a similar way to rich snippets on websites, in that they can relay information to users through voice search without leaving the search engine meaning potential customers or people interested in your business can get in touch right away and find out more about you as Google taps into your listing for the information the user has asked for. Like all aspects of search optimisation, things change fast and everything is constantly evolving, be sure to keep up with how your pages are performing after making the suggested changes above and use the collected data to refine the changes you make towards queries you’re targeting. If you’re unsure on how to analyse the traffic and performance of your website, Google Analytics is a great place to start. I predict that voice search and the use of voice in our domestic and mobile technology will continue to rise, only becoming more reliable as these software assistants learn more about our speech habits and websites improve their overall data presentation. In the future I expect voice to become a feature in more aspects of our life, such as our vehicles and home automation setups.